How do you decide which person to trust? It can be a huge decision, like which flame you give your heart to — or a relatively minor one, like which food writer you trust enough to follow into uncharted territory. Trust me on this one. Take a chance with this award-winning version of New England clam chowder from the Lobster Pot Cookbook. In a soup pot, melt three tablespoons of butter and sauté onions until translucent. Do not brown. Add potato, carrot, clams, juice, salt and pepper. Bring to a boil. In a second pot (for the roux) melt the butter and with a whisk, stir in the flour. Smooth with the whisk. Cook on low heat while the other pot is coming to a boil. After the first pot is boiling and the potato and carrot are cooked, stir in the roux. Bring it back to a boil (you always have to bring a roux back to a boil once you add it), then remove from stove. Heat the milk and cream on the side and then add to the chowder. Serves 8. Serve with crisp toast and green salad. 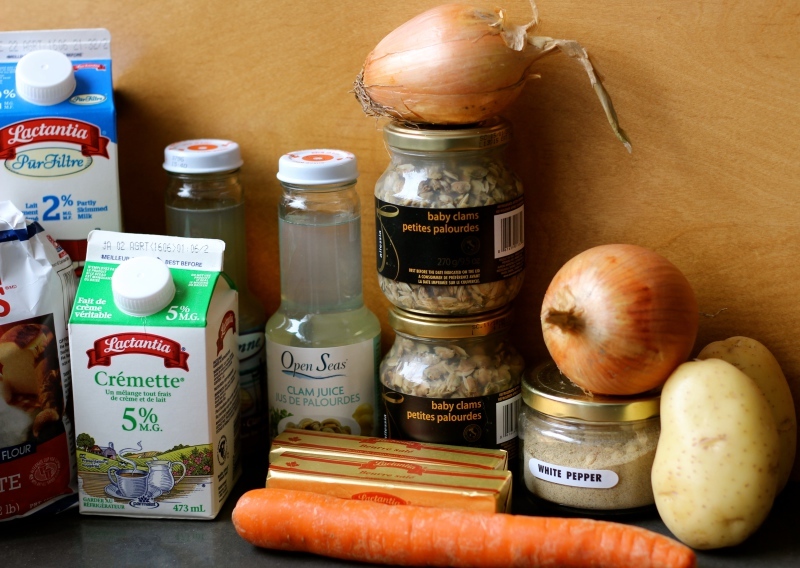 Note: When you thicken a stock or sauce with a roux, it must be cooled before refrigerating. After years and years of enjoying restaurant clam chowder, it was finally time to nail this intimidating recipe. I cracked open the Lobster Pot Cookbook, a good bottle of Chablis and let the clams fall where they may. I’m clinging to my copy. Order yours here. It isn’t just a cookbook. 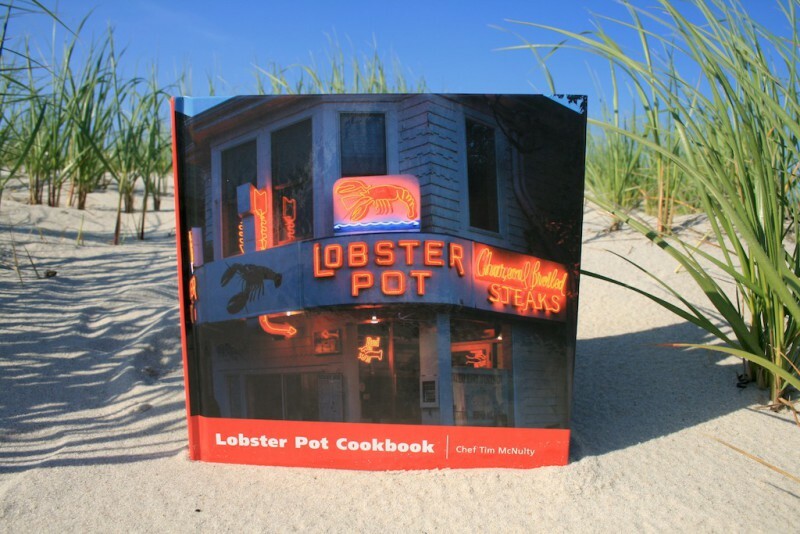 It’s the heart and soul of the Lobster Pot restaurant with stories, photos and recipes that immerse you in the inner circle of seafood love and lore. 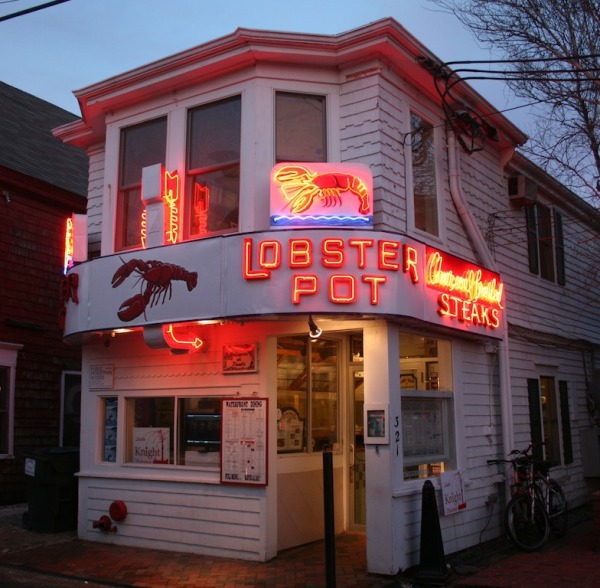 Check out the Lobster Pot on Pinterest or in Provincetown, Cape Cod, if you’re there in season. 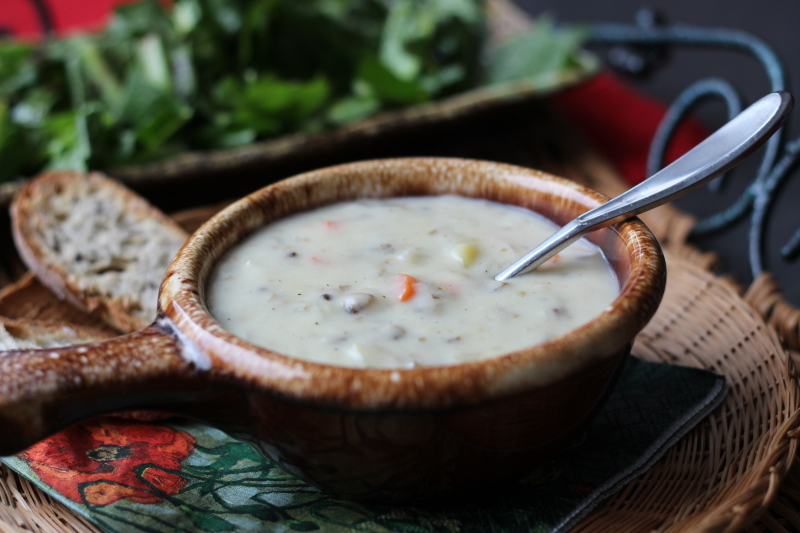 How many variations of clam chowder have you heard of? It’s just a matter of time until I explore the rest of them. Are you savvy about different types of clams? I’ve enjoyed all the clams I’ve come across. Have you watched “Where the hell is Matt?” He sure gets around. Your ability to comment on Jittery Cook may not be working smoothly. Can you make a comment so that I’ll know for sure? Thanks! This recipe looks delicious. I have made several comments since you posted by I am getting an error message. Looks like it went through today. Wish I could remember what I wrote before!! !